Hormones are essential for life. Absence or severe deficiencies can cause serious disease or death for the most important members of this category. Deficiencies of cortisol, testosterone, progesterone, estrogen and thyroid are some of the more powerful stimulators, and deficiencies of these do, in fact, cause severe illness , eventually leading to death. These are some of the key hormones that we evaluate and treat to achieve maximum health. For those that watch the media, the word hormone can incite fear. 93% of all media stories have a negative slant. It is unfortunate the public, and many doctors, rely on the news to provide them with their medical information. The media are not doctors, and they cannot provide a balanced interpretation of their news. Only one that is slanted based on the current events, and they prefer negative ones. Most of the bad press for hormones are based on dissemination of tainted work. 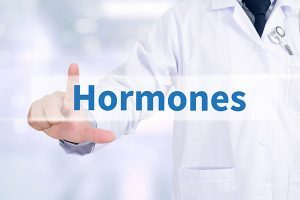 Many of the initial fears regarding female HRT (hormone replacement therapy) are not based on using hormones, but based on chemicals that are altered to appear and function like hormones. The studies on Prepro (a prescription medicine still approved by the FDA), uses a horse estrogen and a chemically altered progesterone, given by mouth, that caused higher risk for cancer, diabetes and Alzheimer’s disease. Not only is the drug unnatural to the human body, but taking these hormones by mouth also aggravate inflammation in the system and can cause weight gain and sugar craving due to its liver metabolism. If you give the body something foreign, it doesn’t process these things well, and the results are bad. On the other hand, there have been hundreds of studies showing benefit to natural (bioidentical) hormones for health and well-being. Some of them (estradiol in particular) can give through the skin, injection, or BioTE® implant, with fabulous improvements seen in health and quality of life measures, without the risks involved when taking the wrong drugs by the wrong route . Good news doesn’t sell very well and there hundreds of studies to validate their usefulness, but none of these studies are controversial enough to hit the media. If estrogen was the culprit in illness, we would see twenty year-olds dropping like flies from breast cancer. What we do see is exactly the opposite, illness develops as hormones decline or are absent. The list of potential benefits from estradiol is huge! In addition to marked quality of life improvements in terms of energy, mood, sleep, and relief from hot flashes, estradiol benefits include, Improved bones, lower diabetes risk, maintenance of the elasticity of arteries and skin, improved memory, higher “good cholesterol “ (HDL cholesterol) and lower blood pressure to name only a few. Why would you want to deprive your body of these body nourishing properties? Testosterone, has the same media label, a wholly undeserved. Many remember there was a VA study that suggested harm, and shortly thereafter, various legal firms placed adds to sue MD’s that had prescribed it if an adverse event occurred. This fear still exists, even though the study was shown to be highly inaccurate, and in fact, really showed the opposite! If you don’t manipulate the statistics, testosterone actually benefited parties in that study. Many professional originations have criticized the poor study for inaccuracies, yet the VA refused to retract it. Many also hold the older fears that it could contribute to prostate cancer. The original evidence for this was based only on one patient, but over the last sixty years there has been abundance of information to the contrary, and infact LOW TESTOSTERONE, is thought to contribute to the most lethal form of prostate cancer. So if you are holding off treatment for that fear, you are INCREASING your risk. Testosterone is used for TREATMENT of prostate cancer in some areas of the world and evidence is mounting in its favor. Again, if high testosterone caused heart attacks or prostate cancer, 18 year-olds would be dropping dead from them, but it’s when these rejuvenating levels decline, that the disease process starts. To deprive your body of testosterone, prevents you from attaining many of the life enhancing effects, on the basis of unwarranted fears. Some of the benefits of testosterone (for both men and women) include marked improvements in energy. Testosterone is my #1 hormone energizer. It also greatly improves mood, sleep, and many health measures. It improves brain function. It improves metabolism and stimulates the burning of belly fat. It also improves muscle strength and bone density, two important determinants of health and survival. It improves insulin sensitivity and therefore decreases risk for diabetes as well. It reduces inflammations within the system, and improves cardiovascular health. So fear not the body’s natural hormone system, the body did not make them to kill you, they are there to stimulate (rejuvenate) you. Discover how BioTE® can bring back your energy!